Green Alliance Are we ready to let consumer choice drive the energy system? Are we ready to let consumer choice drive the energy system? As Britain’s distributed power continues to fall in cost, two contrasting futures appear possible: one where consumer demand for small scale technologies like community owned renewables, EVs and batteries leads to a more market oriented and rapidly decarbonising energy system. The other where mismanaged grids, billing, metering, and a reactive policy approach lead to rationing of connections, emergency grid investments, and huge public frustration, with government, the grid, and power companies taking the blame. 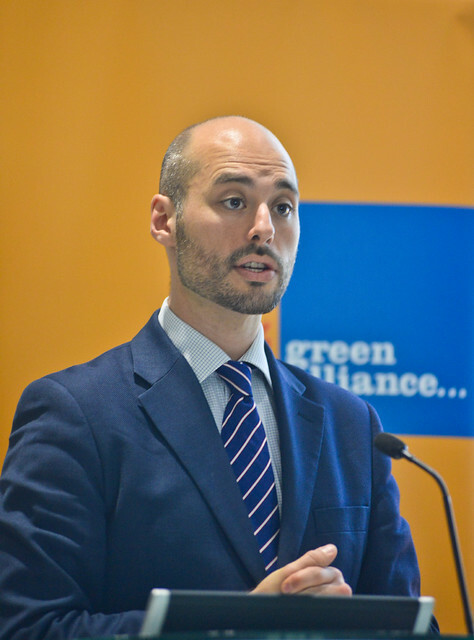 A new Green Alliance report was launched at this event, examining the risks and opportunities for the UK’s power system as it becomes increasingly driven by consumer choice and small scale renewables. Our expert panel discussed the changes they’re seeing in the UK and in global markets and assessed when some of the tipping points for the power system will be reached. Panellists also gave their take on how to govern this disruption and what the right balance between new technology, reformed markets and the state should be. The event began with a presentation of Green Alliance’s report on this topic by Dustin Benton, acting policy director at Green Alliance. See the highlights of the event on Wakelet and read the report, People power: how consumer choice is changing the UK energy system.